Slow TV is Norway's answer to the binge-watch. Apparently, the Superbowl and the Oscars aren't considered event television in Norway. No, the Norwegians much prefer watching seven-hour train rides from Bergen to Oslo and nine-hour long sweater knitting marathons. Slow TV is Norway's public broadcaster's answer to the binge-watch - the programs document mundane activities in real-time. According to Thomas Hellum, creator and champion of Slow TV, it's best watched in parts because of course, no one sits through the whole thing. "You can come and go. You can watch television as if you were doing a real journey," he says to guest host Candy Palmater today. Since the debut of Slow TV in 2009, it's become a ratings giant and a global phenomenon. Finnish and British broadcasters have put out their versions. And now, audiences can watch a bunch of Slow TV programs on Netflix. 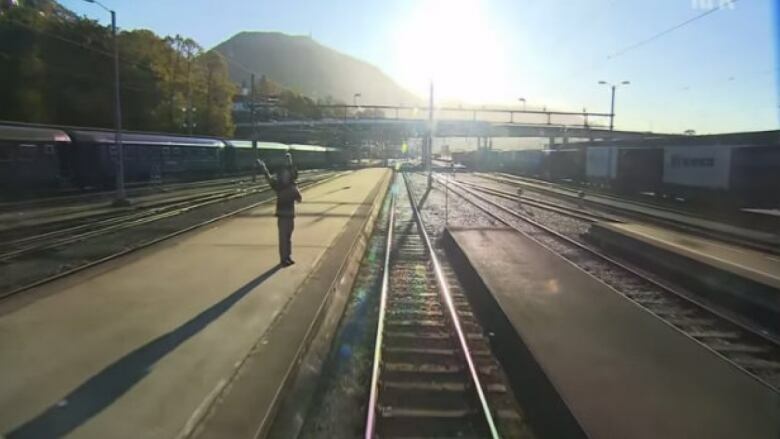 WEB EXTRA | If you have some time to spare here's Train Ride: Bergen to Oslo in its entirety.